Mili was married when she was four, and now twenty years later she has not seen or heard from her husband since. Now, she is determined to make herself a better wife in hopes of winning over her husband. How will she do it? By moving away from India to America for 8 months to improve her skills through study. Enter Samir, the brother of her husband and technically her brother-in-law. Fiercely loyal, Samir is determined to protect his brother, but is quick to learn Mili may not be who he thought she was. 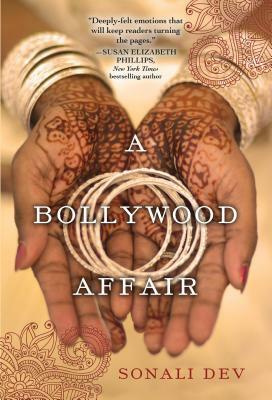 A Bollywood Affair by Sonali Dev mixes clever characters with a friendship that turns steamy to create a funny and romantic romp of a tale.